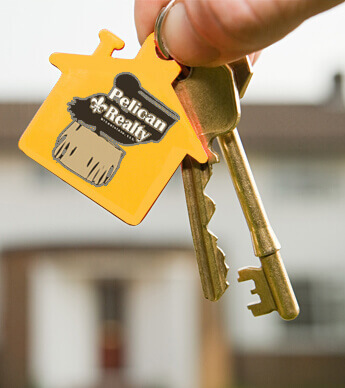 Pelican Realty provides our clients and investors with a management solution that helps their properties operate smoothly. Our strategies increase desirability, enhance investment value, and maintain the financial success of your property. Our goal as your real estate consultant is to do everything we can to assist you in reaching yours. We assist families with finding their first or next home and have a team of comprehensive professionals that work hard to deliver success for all customers. We are committed to helping make your real estate experience a pleasant and successful one. We have an in depth knowledge of the industry with the competence to assist clients with handling all types of transactions in this complex marketplace. As your professional real estate advisor in the New Orleans Metro area, I am focused on your real estate needs. I pride myself on listening to my clients! If you are not satisfied, then I'm not doing my job. I have been a REALTOR® for over 18 years and a personal investor for over 23 years. As a result of my experience as an Agent, Broker, Property Manager and Investor I have the expertise to make buying or selling real estate easier for my clients. Regardless of whether your real estate needs include a personal home or investment property, buying or selling, I will represent your best interests with honestly and integrity. We can help you through the purchasing process of a property. We can help you through the selling process of a property. Own property and need a property management? Here are some frequently ask questions and answers. Real Estate, Property Management, Investing, and More! Released weekly on Thursdays, the BiggerPockets Podcast is hosted by Brandon Turner and David Greene. It features off-the-cuff interviews with investors of various backgrounds, niches, and experience levels. Check out new shows below and subscribe to our Video Podcast on iTunes here. Our goal with this podcast is to interview other landlords that are generating rental income with their investment properties. I want to give listeners actionable information and tips that will help other investors generate more rental income, and attract better tenants. I will also be sharing the information that I am learning on this incredible journey of being a new landlord. I have a lot to learn, and I hope you will come along with me, and learn something that will help you generate more rental income, while working on your properties less. The Mobile Home Park Investing Podcast - The #1 Real Estate Investing Podcast that will Show You How To Create Massive Cashflow by Investing in Mobile Home Parks. Welcome to the podcast that will teach you how to successfully invest in and build steady streams of passive income from the highly lucrative niche of Mobile Home Park Investing.